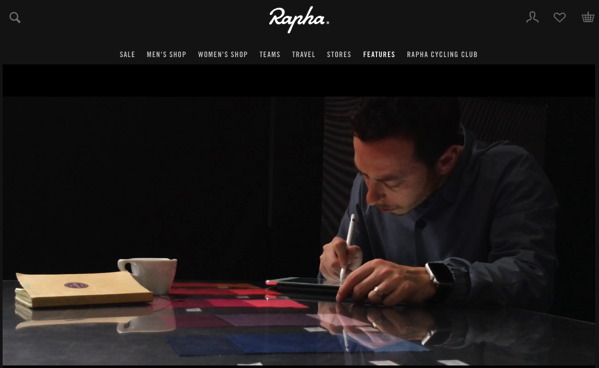 Utilitarian clothing company Rapha, that focuses on design to make cycle clothing stylish, has observed a significant improvement in their design workflow, thanks to the iPad Pro and the Apple Pencil. Not only has Rapha’s head of design Alex Valdman become a big Apple Pencil advocate, but also Apple has produced a short film about Valdman and Rapha, showing how a peripheral device can affect the workflows of non-tech companies (via TechCrunch). But Valdman’s workflow changed quite a lot with the iPad Pro. Like any other computer, it’s much easier to share a drawing once it’s just a file on your iPad Pro or laptop. Valdman went one step further and ditched all of his notebooks even for the very early sketches.